I love an adorable romper in the spring! I am a hot mess 99%of the time. Life with two kids is hectic and some days it is near impossible to even wash my hair. A romper is my quick and easy “no more hot mess” hack. You can just throw a romper on and instantly look cute. I love that you can dress a romper up with a heel or a wedge for more dressy occasions. For everyday or casual occasions I usually wear a pair of comfortable sandals. Below I have linked some rompers that are a must have for your spring closet. 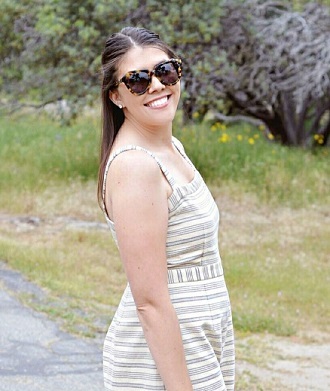 I did link one romper that is slightly over $100, as well as a long jumpsuit because it was just too cute not to share. Click on the photos below to see additional information on an item.